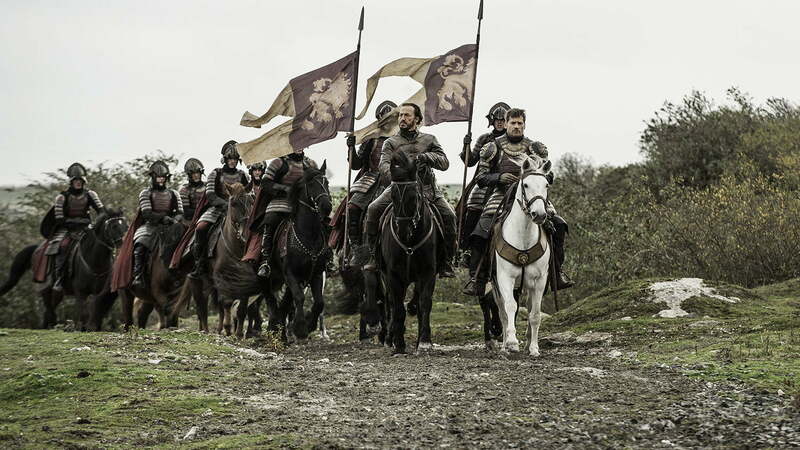 The eighth and final season of HBO’s Game of Thrones kicked off on Sunday, April 14, after nearly a two-year hiatus. The weeklong wait between episodes 1 and 2 will likely be agonizing, so in the meantime, why not revisit some of the show’s most epic battle scenes? The series, which revels in gratuitous violence, features no shortage of terrible murders and surprise attacks, from King Joffrey’s poisoning to the famed Red Wedding that resulted in the demise of beloved characters. 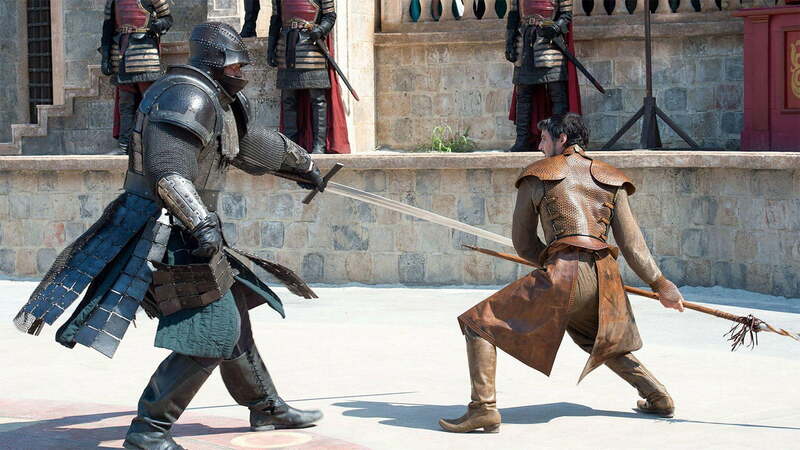 From swords swinging to White Walkers attacking to body counts in the thousands, we’ve rounded up some of the most brutal battle scenes worth reliving in all their morbid glory. 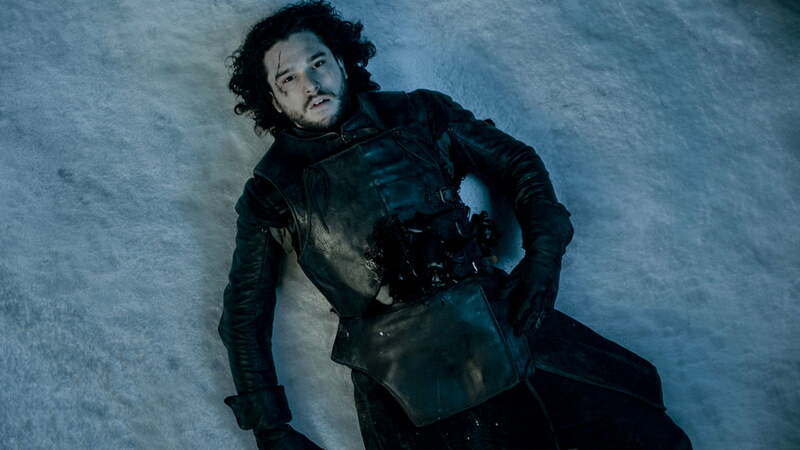 Note: Major plot spoilers from the first seven seasons ahead, so read on at your own risk. Deemed the Massacre at Hardhome, Jon Snow finally convinces the Wildlings to work with him, only to be met by White Walkers while attempting to transport the Free Folk to the Wall. 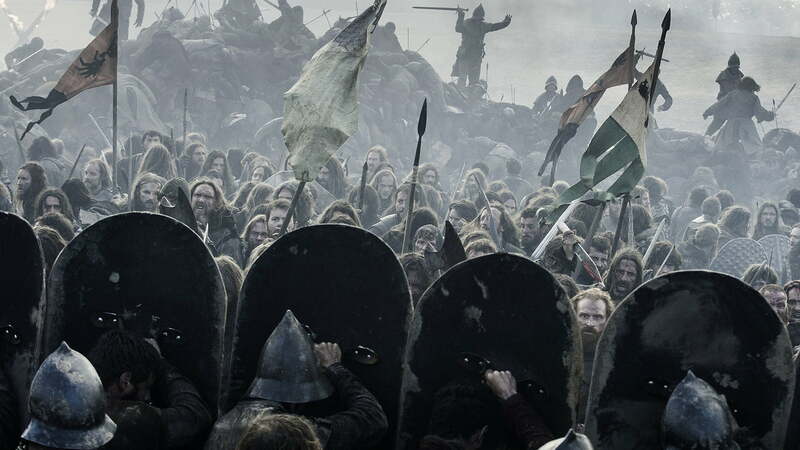 Many perish in battle, and some are left behind to be torn apart by the wight invasion, still fighting valiantly to fend off as many as they can. As brutal as the actual battle is, the most fist-clenching part of the scene happens when, as Jon reluctantly departs on a rowboat, the Night King stares him down from afar, raises his arms, and turns all of the freshly dead into wights to join his growing army. 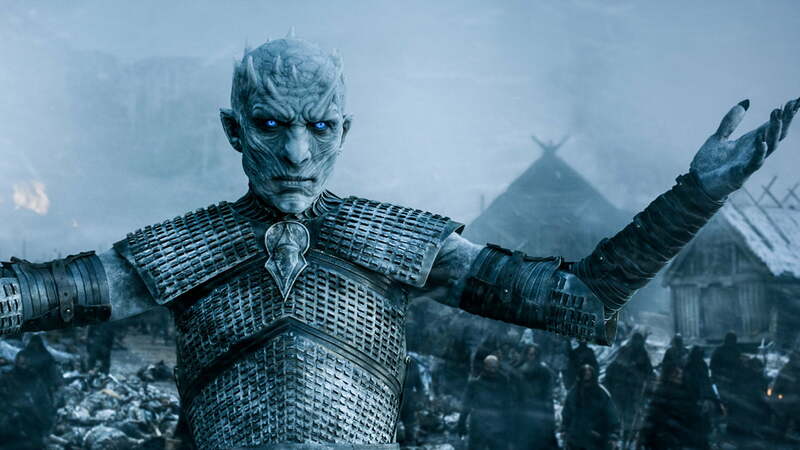 Bran comes close to perishing in this epic battle when he accidentally reveals his location to the Night King while in a vision-dream trance and his group is savagely attacked by the White Walkers. Wights kill the Three-Eyed Raven, leaving Bran to take his place as the all-seeing being. Many sacrifice their lives in this lengthy battle, including Leaf and other Children of the Forest, as well as the beloved Hodor, who uses his large, heavy stature to hold the door (revealing the origin of his name) and prevent the White Walkers from getting through just long enough for Bran and Meera to escape. Dutifully following Melisandre’s counsel was all for naught, as Stannis’ plans to take the Iron Throne are thwarted when he’s intercepted by the Bolton army and forced to fight. The brutal and bloody battle ends as Stannis accepts defeat. Interestingly, he doesn’t die in the quick yet devastating battle, but rather at the hand of Brienne of Tarth, who is all too willing to do the deed and avenge King Renly Baratheon. Following cruel actions from Ramsay Bolton, a man with an ego the size of Westeros and a penchant for torture and mutilation, the bodies begin to pile up in spectacularly morbid fashion in this, one of the most nail-biting battles of the series. 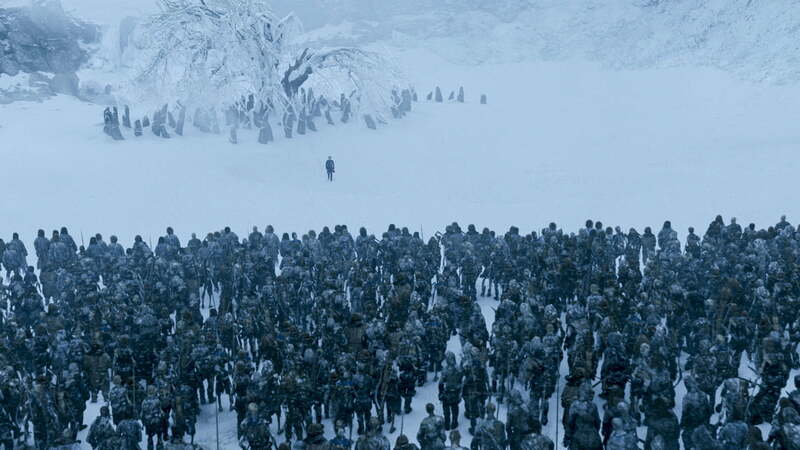 At one point, Jon and his waning forces are visibly terrified, huddled in a circle, and surrounded on all sides by the remaining members of the Bolton army. Ramsay’s men move closer, inch by inch, like walls closing in, slowly sticking their swords into any frantic body within reach. Just try and avoid cheering aloud when the Knights of the Vale, led by Petyr Baelish and Sansa, arrive just in the nick of time, and Sansa gets her final retribution against her despicable husband. It’s not surprising that, with this being the penultimate episode of the season, it would contain not just one, but two epic battle scenes. Abolish slavery, and the masters are bound to push back. This is exactly what happens when the former Masters send a fleet to attack the city and get their former slaves back in chains. Daenerys, however, isn’t having it. This is the first scene where we truly see the tremendous power of her dragons. 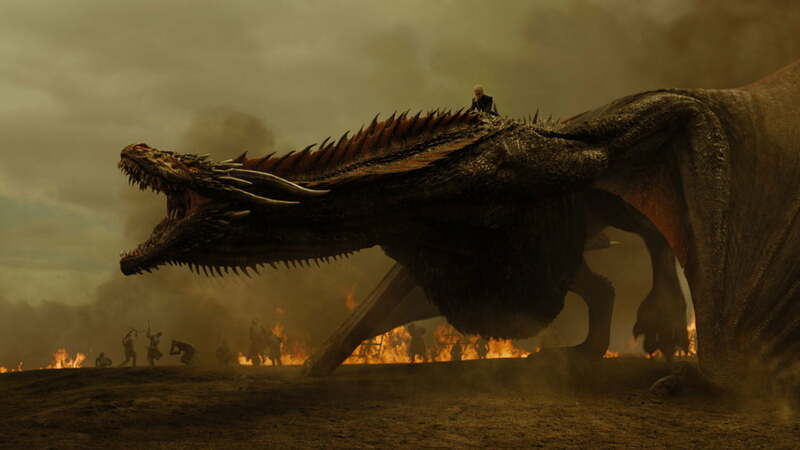 All it takes is one command – Dracarys – and the ships full of masters are burned to a crisp by the fire-breathing Drogon. Never mess with the Breaker of Chains. Prince Oberyn is all too happy to offer himself up to fight the monstrous knight on behalf of Tyrion, just so he can avenge his sister’s murder. The confidence is warranted as he demonstrates some serious sword skills and footwork throughout the David and Goliath-like death dance. But just when you think the Mountain may be done, persistent taunting brings the beast-like man back from the brink of death to attack the prince in a fit of rage. The Mountain gouges Oberyn’s eyes out and literally crushes his skull using his bare hands as the prince’s love, Ellaria, looks on, screaming in horror. This battle isn’t brutal in terms of body count or gruesome kills. It’s in seeing young child spies (Varys’ “little birds”) weaponized as they surround the elderly Grand Maester Pycelle and stab him to death, much to his horror and confusion. Meanwhile, Cersei finds a clever way to several birds with one stone by lighting up the Great Sept via a wildfire trap and killing everyone inside, including Queen Margaery and the High Sparrow. If Robert Targaryen was the Mad King, Euron certainly hopes to be version 2.0. 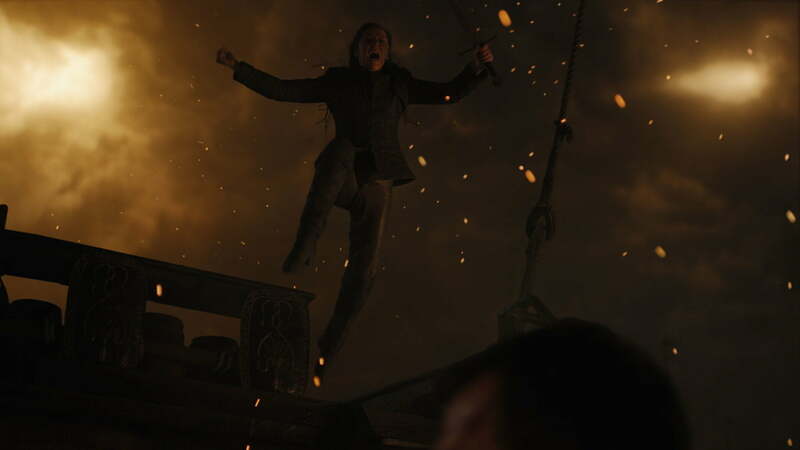 The crazed man attacks a Targaryen fleet and jumps aboard the ship carrying his niece and nephew Yara and Theon, slaughtering as many people as he can while the rest of his men launch fireballs from trebuchets into the other ships, setting them on fire and sinking them. The purpose: To capture Yara, who’s leading the rebellion against him, along with Ellaria and her one remaining daughter, who are presented as gifts to now Queen Cersei. 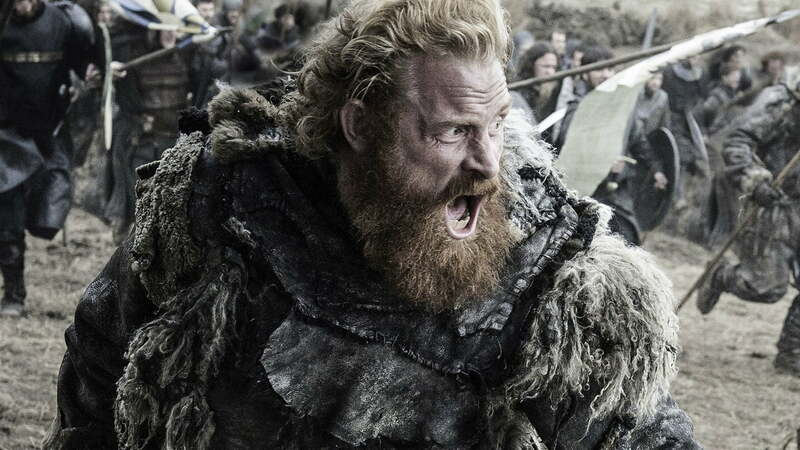 The first time those in King’s Landing actually see the Dothraki fight, they realize that these guys are good – really good. The stampede of bare-chested, ponytailed men parades in to attack, while Daenerys flies atop Drogon. Row by row, the dragon obliterates everyone and everything in its path, spewing flames as if it were watering a lawn. It’s one of the most visually stunning battles of the series. The episode even set the industry record for the most stuntmen to be set on fire, with 73 fire burns and 20 stuntmen all set on fire at the same time. In this penultimate episode, Jon Snow journeys with others north of the Wall to find and capture a wight to prove to Cersei that they exist. But it’s not an easy task, as the men realize when they first encounter a fierce bear followed by the rest of the army of the dead. Once the men fight their way over a melting sheet of ice to safety on an iceberg, these hours of temporary relief are ironically the most nerve-wracking part of the battle. The men anxiously stand mere steps away from the dead while the wights blankly stare them down from every direction, just waiting for the ice to freeze over again so they can approach and attack. 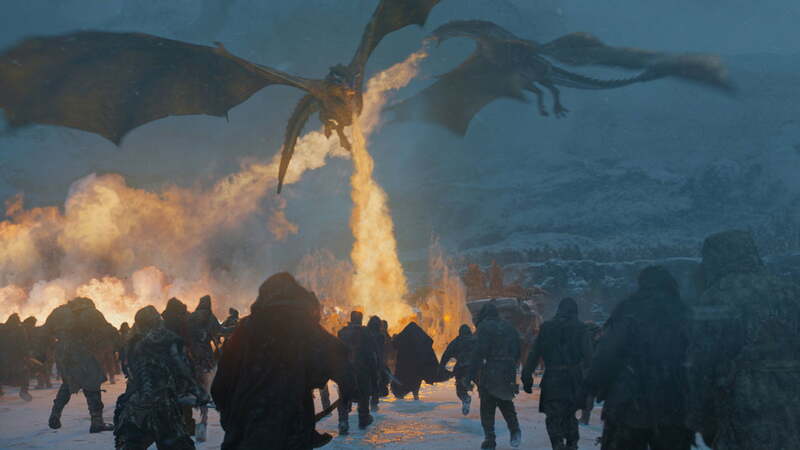 It does, and they do, extending the sword-fighting even further until Daenerys finally arrives with her dragons –Drogon, Rhaegal, and Viserion — to take out the enemy in one fell swoop. Unfortunately, she also loses one of her beloved brood in the process in what seems to have been a trap all along.